I was a little daunted when I came to look for a recipe from Abu Dhabi for the next round of Formula 1 Foods, but luckily happened across the website of Time Out Abu Dhabi which had a recipe feature. I really liked the idea of the sticky date cake with caramel sauce, but it sounded a bit too similar to the Christmas pudding I recently made, and didn’t think I could get hold of hammour (a type of fish I’d never heard of) and while there are almost certainly places in London that stock camel milk (since you can get pretty much anything here) I didn’t want to go on an Apprentice-style mission to track it down. Instead, my eye was caught by a recipe for grilled lamb chops with pomegranate sauce, which sounded very nice – plus I had lamb in the freezer and a bottle of pomegranate syrup in the cupboard! If you don’t have pomegranate syrup or molasses – though I’m pretty sure I bought it from Sainsburys rather than a specialist shop – the recipe does give instructions for how to make your own. But I skipped that stage and mixed the pomegranate syrup with the ketchup, honey, garlic and sugar – I left out the onion as such but used onion powder instead for a smoother sauce. I brought the ingredients for the sauce to the boil, grilled the lamb and served the sauce over the top. It was delicious – if I did this again I think I’d finish the dish with a sprinkling of pomegranate seeds. 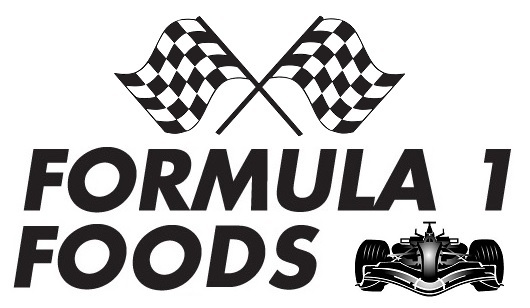 I’m sharing this with Formula 1 Foods, the blog challenge I host based around the Grand Prix locations, as the next race is taking place in Abu Dhabi. i love the thought of an Apprentice style hunt on the streets of London for exotic and wonderful ingredients- the next series maybe?